Blizzard is testing buffs to his defense. Lead Game Designer, Geoff Goodman, has revealed that Blizzard is carrying out tests on Roadhog internally. The news was confirmed in an official forum post last night, which responded to a thread concerning Roadhog’s current state within the game. The tests are focused on tweaking Roadhog’s defensive abilities, as opposed to his offensive capabilities. Goodman believes that he’s able to deal enough damage, it’s just that he’s now significantly easier to take down in sustained firefights. Ever since Roadhog’s significant hook combo nerf in a recent patch, his pick rate has taken a real tumble. Before the tweaks he’d be in almost every game, one-shotting vulnerable targets and tanking ridiculous amounts of damage at the same time. Blizzard’s attempt to tone down his damage output and shift him more inline with the other tank heroes hasn’t quite worked out, and he’s severely struggling to gain a foothold in Overwatch at the moment. 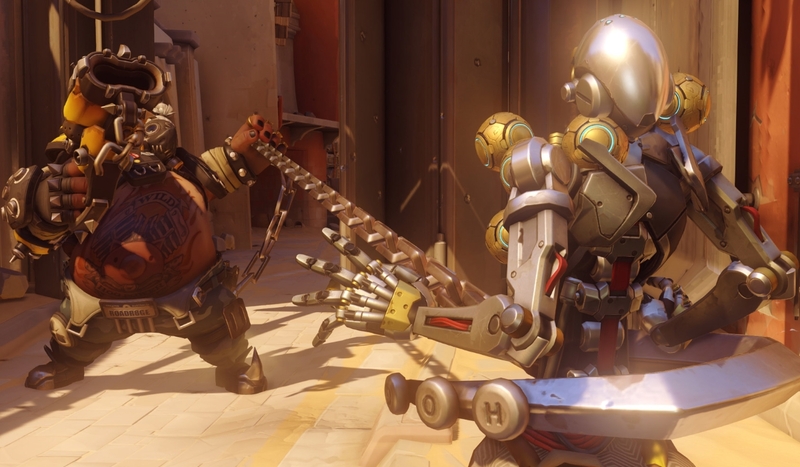 It’s obvious that Blizzard isn’t happy with where Roadhog currently stands, and re-thinking his defensive capabilities sounds like the right way to begin fixing things. It’ll reinforce his newfound tank status, rather than swing him back into the realm of a hero who can simply do it all. Some players suggest that he should be able to move while using his ‘Take a Breather’ ability, while others argue that bolstering him with a little armour would be a good place to start. Either way, we’re looking forward to seeing how he’ll change and whether it’ll be enough to bring him back into the metagame again. We’ll be sure to update the site when his changes go live, so stay tuned for the latest!